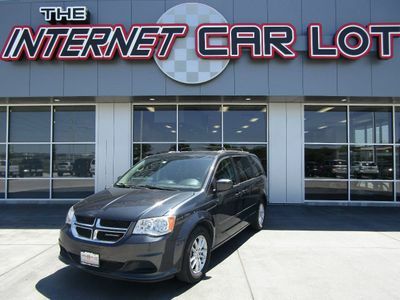 Check out this very nice 2002 Dodge Grand Caravan! This van looks and drives great! It's loaded with options including a 3.3L V6, Automatic Transmission, 3rd Row, 7 Passenger, Tilt, Cruise and much more! This van is in great shape! This car has a previously salvaged title. Please call with any questions. It's priced to sell ASAP so call 402.991.1112 now! Get Pre-Approved now on our website http://TheInternetCarLot.com or call us at 402.991.1112!